For years we’ve known that the simple truth of weight loss is that you must burn more calories than you take in (called creating a caloric deficit) in order to lose weight. In fact, you can get very mathematical about weight loss. According to The Mayo Clinic, a pound of fat is equivalent to 3,500 calories. Therefore, to lose one pound, you need to create a 3,500 calorie deficit. If you create a 500 calorie deficit daily, you’d lose a pound by the end of a week. Now, of course, there are other factors that affect weight loss, but the basic principle of managing calories out and in will provide some weight loss for everyone. And for many, this strategy alone, when implemented and maintained properly, will provide remarkable weight loss results. So, armed with the knowledge that this is the best strategy for weight loss, how do we implement a program to track and monitor our progress and success? This is the key to our success, after all, the science won’t fail us – if anything fails us, it will be our consistency, accuracy or commitment to the process. Let’s assume you want to lose some weight and you’ve chosen the caloric deficit method as your strategy. The easiest way to implement your strategy is to start tracking the calories you consume (what you eat) and the calories you expend (what you burn). As a first step, the simple task of tracking your calories will make you more aware and accountable. The first step in tracking is to determine what method you want to use. The most basic option is to grab a pen and a notepad and start writing down what you’re eating. Another option is to use an app. 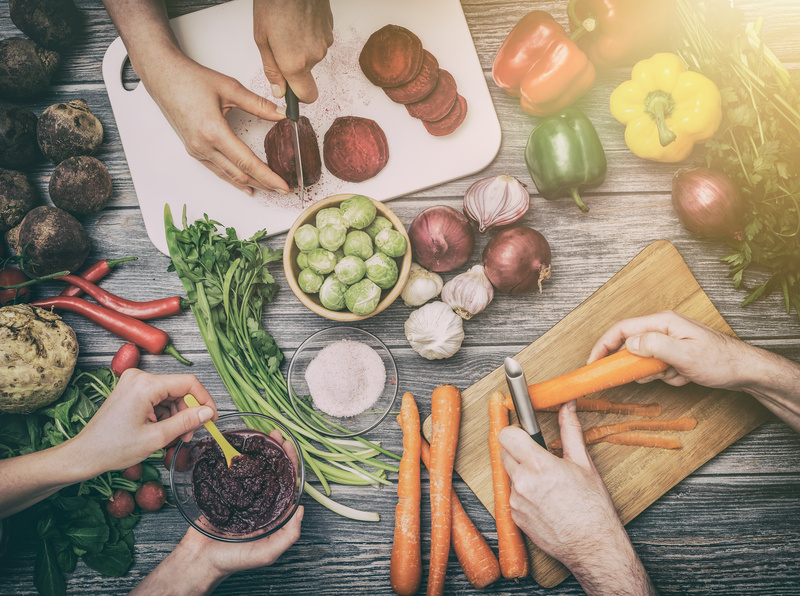 The advantage of using an app is having access to a database of food items and their caloric content saving you the trouble of having to determine or guesstimate those values. We recommend MyFitnessPal as its free version is incredibly robust and the database of foods is unmatched. The most important part of tracking your food, though, isn’t the method you choose, it’s the consistency. You must, must, must log every calorie that you consume in order for this strategy to be effective. Once you’ve master tracking the calories in, you’ll want to start tracking the calories out. This requires a little more work because you’ll either be using estimates and averages (like doing a Google search for “how many calories does a 190-pound male burn in an hour of jogging?”) or you’ll be using some equipment that may need some calibration in order to turn out accurate data. Our recommendation for tracking calories out is going to be the high-tech option again, for its accuracy and simplicity. Because it’s accurate it will work. And because it’s simple you’ll stick with it. We recommend using a heart rate monitor that measures caloric expenditure during your workouts. By using a monitor you can simply pull the number of calories burned from your device at the end of a workout and plug it into your tracker (like MyFitnessPal). If you’re able to answer the all of following questions with a YES relative to your tracking method (notebook, spreadsheet, app, etc.) then you’re on the right path the successful weight loss! 1. Is this method easy for me to access throughout the day as I eat and/or workout? 2. Is this method easy enough that I can use it quickly and easily without interrupting my day? 3. Is this method something I can commit to using every single day, sometimes multiple times per day? 4. Am I excited about getting started with this method of tracking? Great! So you’re tracking your calories in and out. Now what? Now, this begs an important question: how does the basal metabolic rate figure into this equation? Basal metabolic rate or BMR is the calorie burn required by your body to sustain basic day-to-day life. Some people include their BMR in the equation and that okay, but know that if you choose this method it may slow your progress as BMR can be tricky to determine and it can vary wildly from day to day. This removes a lot of guesswork and provides you with easily obtainable data to work with. It’s also likely to create more dramatic results as you’ll have to work a little bit harder to create that deficit using this formula. Now to MANAGE your deficit, you’ll want to determine how much weight you’re going to lose and in what time frame. We recommend no more than two pounds per week (on the aggressive side of things) as anything more brings A LOT of additional variables into the equation that can affect your results. Let’s use a pound per week (a very good goal for most people looking to lose weight, in our opinion). We determined previously that you’d need a 3,500 deficit at the end of the week to achieve this goal. Now you can set out to create a plan to ensure you achieve this. If you’re looking for a more aggressive weight loss program, you’ll want to work with a fitness professional who is trained to create and manage aggressive strategies. A great example of this type of training is the Elevate Fitness 6-Week Weight Loss Challenge, where past participants have lost as many as 8 pounds a week*! Being new to the gym can be overwhelming. You walk in and assume everyone knows what they’re doing, they’re super fit and it comes really easily to them. Of course, these assumptions aren’t true 99% of the time, but it’s something we all think when we’re getting started. Add to that that most machines look like they can do some damage if used improperly (and they can) and it’s not always super obvious how they’re meant to be used. Layer on all the conflicting and bad information we see about fitness and working out online and in magazines and it’s almost guaranteed that you’ll make mistakes as a new gym member. Here we’re going to break down the 5 most common mistakes that beginners make in the gym. They Don’t Take Advantage of Fitness Consultations. We get it. You’re new and that Personal Trainer with the great biceps is intimidating. But letting your misconceptions about trainers stop you from meeting someone who can get you started on the right foot and could potentially become one of your biggest cheerleaders would be a mistake. A Fitness Consultation gives you a chance to talk to someone who is educated and passionate about how to help people just like you reach their fitness goals. It’s also a great opportunity to figure out exactly what you should be doing when you come into the gym so that you’re making the most of your time. Even if you never plan to meet with your trainer again after that complimentary consultation session, you’re going to get a lot of good information from it that can have a direct impact on not only your results, but how quickly you start seeing results. They Give Up Too Quickly. People expect to see results overnight. They spend years engaged in the behaviors that made them unhealthy in the first place and expect to undo all that effort in just a couple of weeks at the gym. The worst part of this scenario is that most people who start a fitness program and give up, end up giving up just before they’d start seeing real results! Think about it. Skipping one trip to the gym won’t make you fat. And likewise, one trip to the gym won’t make you fit. But just because you’re not seeing results doesn’t mean that changes aren’t happening. It’s just that it takes a while for those changes to be visible in the mirror, or for those changes to show up on the scale. Some benefits, while not immediately visible, are instant. For example, when you exercise your body pumps more blood to your muscles, which increases your blood flow which can increase your brain function. And this is an IMMEDIATE benefit. They Do The Same Thing Over And Over. We’ve all heard that the definition of insanity is doing the same thing repeatedly and expecting different results. Similarly, you’re not going to get the body you want or achieve the fitness goals you’ve set for yourself by going to the gym and doing the same thing over and over again. Your body will adapt and the repetitive nature of your workouts will stop producing results. This is why so many people experience exercise plateaus. One of the reasons for joining a gym instead of a fitness studio (see our take on that here) is that you have so much more variety available to you. 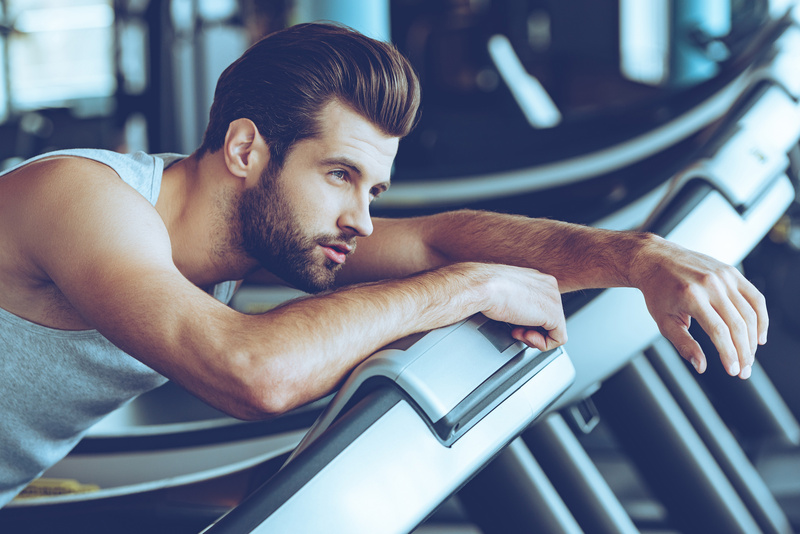 Not only will this help prevent boredom from setting in (and making you less likely to stick with your program) but it will keep your body guessing and stop it from adapting to your workouts. Get out of your comfort zone and try that group fitness class, hire that trainer or just learn a new machine. Your body (and results) will thank you for it. They Go Too Hard Too Fast. Unless you’ve been pretty active prior to joining the gym, you have to expect your body is going to experience some initial discomfort. You’re going to be sore. That’s natural. It’s your body’s way of telling you, “Oh! This is new. I need a little time to recover from that.” Listen to your body. Meet with a trainer for a fitness consultation and ASK the question: “If I’m just starting out, how much time should I be spending working out?” and then follow that advise. Going too hard too fast can cause a number of issues that derail you from reaching your goals from injury to increased recovery time. They Try To Go It Alone. We are social creatures. There’s no denying it. It’s been shown over and over again in a multitude of studies that people who work out with a friend, in groups or in social environments get better results and stick with it longer. 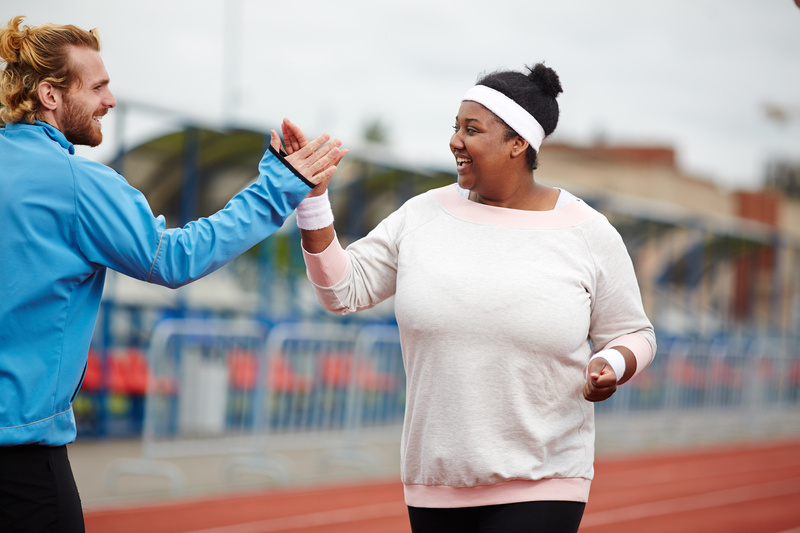 One study actually discovered that 95 % of people in a weight-loss program with a friend or partner finished their program, compared to 76%of those who went solo. The social participants were also 42% more likely to maintain their results. 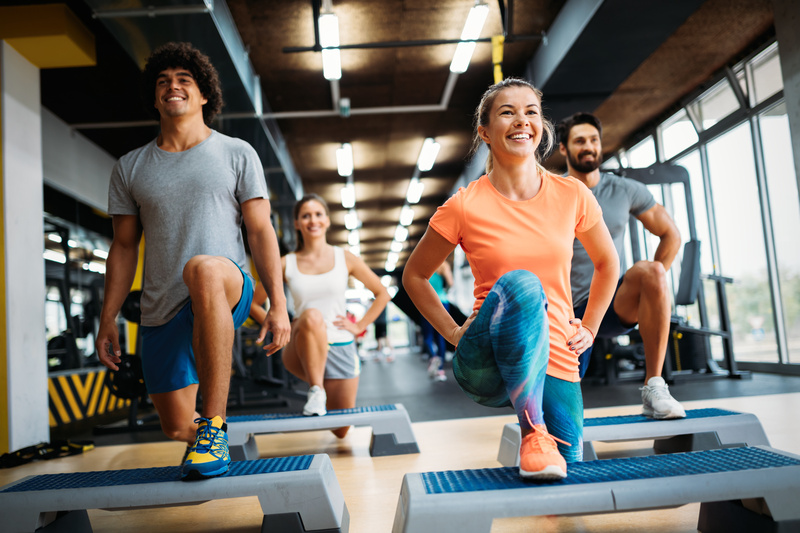 Whether you find a social environment like Cross Training workouts or Group Fitness classes, or you bring a friend to the gym using your gym’s Buddy Program – consider making your solo act a group effort to see better (and longer lasting) results! BONUS MISTAKE: Not getting started at all. There is, of course, only one way to guarantee you’ll get NO results and see NO changes. And that’s by not getting started at all. Sure, beginners make a lot of mistakes and have a lot to learn before becoming seasoned pros who are reaching their goals predictably and reliably – but the good news is that nobody is a beginner forever. In the movies and on televisions gyms are always full of young, fit, attractive members. But like most of what we see from Hollywood, this isn’t the most accurate representation of a gym or health club. They’re frequented by members as diverse as you’d see anywhere else – members of all ages, body types, ethnicities, and professions. And thanks to programs like Silver Sneakers and other insurance programs that pay for memberships, we’re seeing more Baby Boomers and seniors in health clubs than ever before. And that’s why we’re excited to share our best gym tips for seniors. 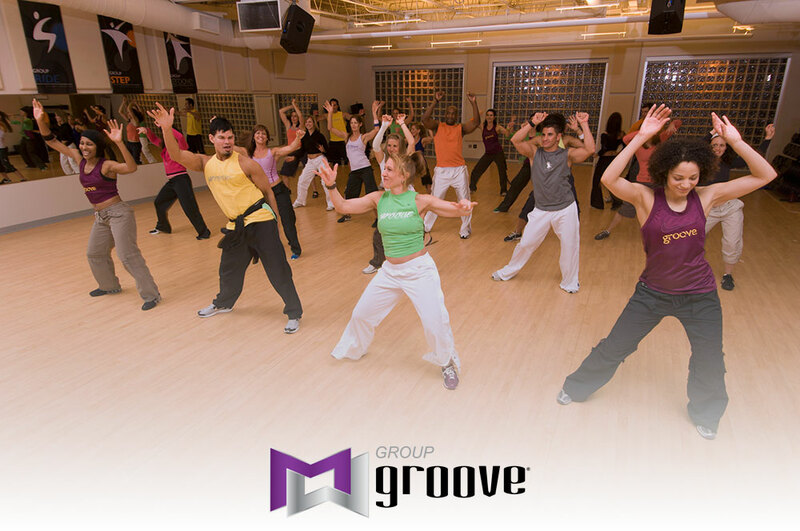 Tip #1: Take group fitness classes. 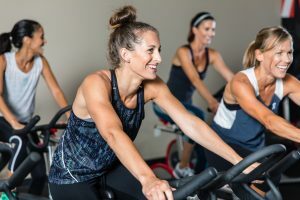 There are a number of reasons you’ll want to include group fitness classes in your fitness program, and we’ve covered some of those in depth in other posts. Today, we’re going to talk specifically about aqua group fitness classes. With the ability to increase your strength, cardiovascular health, and flexibility in all one workout while reducing pressure on your joints in a low-impact format, you’d be hard pressed to find a form of exercise more perfectly suited to a mature body! 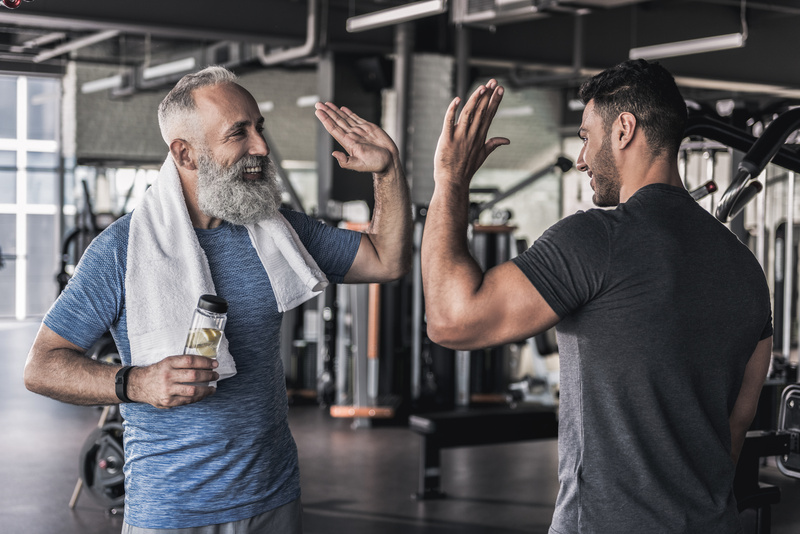 Plus, there’s a great social component in group fitness classes which can help combat stress and loneliness and keep you engaged in your fitness program for the long haul! Need more reasons? See what Elevate Fitness Aqua Instructor Sue had to say about why you should be working out in the water. Tip #2: Find out what special programs your gym offers seniors. For example, at Elevate Fitness, we offer coffee clubs where members can meet before or after group classes to socialize and connect. 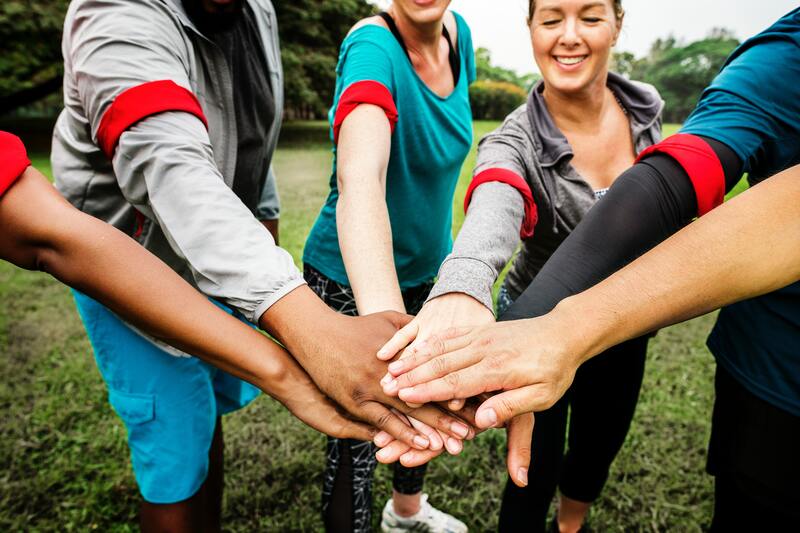 A community is an important part of a successful fitness program as connecting with other members and with staff will increase your exercise adherence by keeping you accountable to other people. And while we’re all for making new friends, maybe you’d prefer to bring an existing friend with you? Most gyms (including Elevate Fitness) have referral programs. Not only can you usually get a guest pass for a friend to try out the gym with you, but most clubs (at least the good ones) will reward you if your friend joins! At Elevate Fitness you’ll earn 500 rewards points that can be spent in our online Rewards Store! Tip #3: Make time to be consistent. Today’s seniors are busier than ever. Whether it’s staying involved in the workforce longer, family obligations or recreational pursuits and hobbies, seniors often find their agendas and calendars just as full as when they were younger. 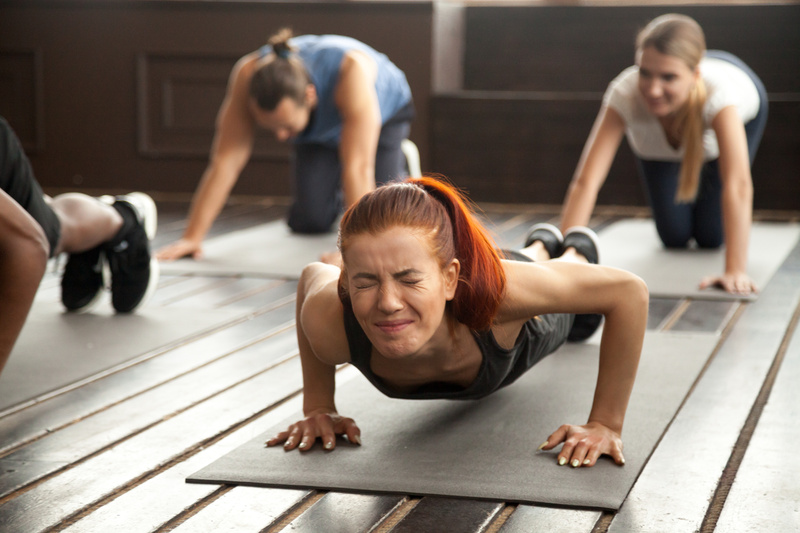 Take time to put together a schedule for yourself (group exercise classes make this a very easy step) and follow the advice we have for people trying to reach their fitness goals with busy schedules. Tip #4: Set a goal. Have something to train FOR and you’ll find it easier to get into the gym to train. We suggest training for a 5K as a good starting place. Most towns have an abundance of 5ks to choose from that allow you to support causes near and dear to your heart. And most 5ks are considered run/walks so you don’t even need to become a very advanced runner to participate. 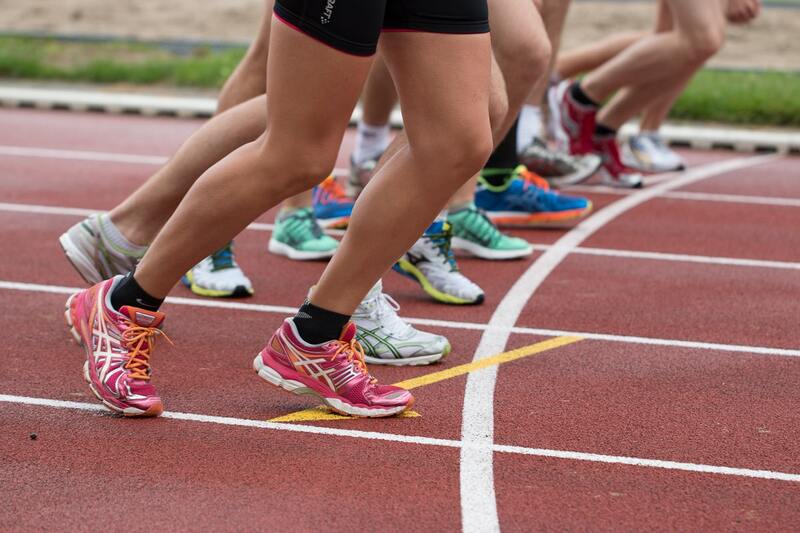 Find a program that will help you reach your goal, like Elevate’s Run to Walk program, designed to take non-runners to point where they can successfully complete a 5k. And once you’ve committed, talk your friends into committing with you! Tip #5: Find out if you’re eligible to have some or all of your membership paid for. Silver Sneakers and Silver and Fit are just two examples of programs that pay for a portion or all of your gym membership for you! And if the gym you’ve joined doesn’t have a program – reach out to your insurance company and be the catalyst! Someone has to be the first, right? Not a member of a gym yet and want to try out Elevate Fitness? Try us out for FREE! If you’re anything like the majority of people, you’ve probably been thinking about changes you’d like to make in your life for 2019. Maybe you’re traditional and you actually set New Year’s Resolutions for yourself, or maybe you’re less formal and you just consider the things you’d like to see happen in the new year. When we start thinking about the changes we’d like to make, how many of us start thinking about our physical health and fitness and maybe even some weight loss? The truth is – most of us. Whether you have a few pounds to drop to fit back into your favorite pair of jeans after some holiday splurging, or if you have a more significant amount of weight to lose after allowing it to slowly pile on over the years – your best solution might just be a weight loss challenge. Before we dive into WHY a weight loss challenge might be the best solution you didn’t know you were looking for, let’s talk about what we mean when we say “weight loss challenge”. For the purpose of this article, we’re considering a weight loss challenge to be a program overseen by fitness or medical professionals. The program would have a clear start and end date with reliable measuring, tracking and documentation throughout. We’d even go so far as to argue that the very BEST challenges will also involve some kind of cost because the more skin you have in the game – the more seriously you’re likely to take it. 1. Weight Loss. Okay, this one’s obvious, but who among us wouldn’t be happy to step on the scale six weeks from today and see that we’ve dropped a few pounds? 2. Accountability. We usually have the best intentions in life, don’t we? We mean to lose weight. We mean to make healthier choices. We mean to call our mothers on the phone more often. But what happens is that intentions without any actual action just become wishes we’ve made. Joining a challenge is a simple step you can take that swings you from intention into action! 3. It’s short term. For a lot of us, the idea of weight loss is accompanied by the idea of sacrifice. We imagine all the delicious and fun things we’re going to have to give up in order to lose weight and we lose momentum before we’ve even started. Joining a challenge (especially a shorter one like 30 or 45 days) means that you’re only sacrificing for a pre-determined period of time. If you want to go back to your old ways (although you likely won’t WANT to – and then it’s no longer a sacrifice) at the end of the challenge, you can. 4. It’s cost-effective. Challenges usually take advantage of group training or workouts meaning that you pay less than you would if you did it on your own and hired a personal trainer. You’ll get more bang for your buck while still getting effective workouts and coaching from qualified coaches. 5. There’s Support. The same thing that makes challenges cost-effective – the other people – make challenges social, too. And there’s hard science that supports the idea that if your fitness or weight loss program is social, you’ll be more successful in both the short term (for the challenge) AND the long term (lasting lifestyle change). Now, let’s get the disclaimer out of the way: as with ANY exercise or diet program, you should ALWAYS consult with your doctor before beginning any new programs. Want to learn more about how the Elevate Syracuse Fitness Weight Loss Challenge addresses ALL of these benefits and more? Fill out this short form for a free, no-obligation session! I’m sure you have heard the term work smarter, not harder. Why would you want to overdo your cardio when working in a lower zone is the key to achieving your goal? It will make your life a lot easier – and push you to your fitness dreams faster. It will also help when you hit a fitness plateau and your body is not progressing the way you want it to. When you use a monitor, you know you are training at the correct intensity. You know you’re not over-training or under-training your body. In other words, you will see better and faster results, pushing your motivation through the roof! You’ll know you’re on your way to being the best you possible. But there are other ways you can use one that of which you may not have thought. If you play sports, you probably do speed drills during practice. Using a monitor during speed work lets you to calculate how fast your heart reacts to these drills. Your rate should mimic the demands of whatever sport you are playing. Are you into weight lifting? If you are doing an aerobic/muscle workout like Crossfit, using one ensures you’re working at your desired intensity. If your workout has a recovery time, you can see how much your heart rate lowers while you are resting – a very important thing of which to keep track. So how do you best utilize a monitor? Its basic function is to show you where and your heart rate is. You can set the minimum and maximum heart rate (MHR) based on your fitness goals and it will alert you when you go over or under your selected zone. In order to lose weight, you know that your heart rate must not fall below 108 and should not go above 126. How do you ensure this? A heart rate monitor! 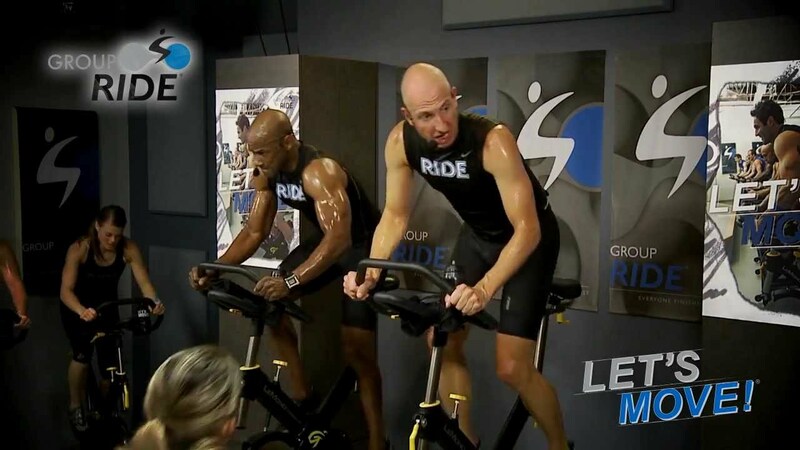 SEE WHICH HEART RATE MONITORS ARE COMPATIBLE AT ELEVATE FITNESS HERE. AND READ MORE ABOUT HEART RATE TRAINING AT ELEVATE FITNESS HERE. Jump Start Your Journey with the Elevate Challenge! Jump start your New Years Resolutions with the Elevate Fitness Weight Loss Challenge. The Weight Loss Challenge is a six-week program that consists of three weekly group workouts (great social motivation and accountability to stick to your goals), customized individual workouts (customized by a certified trainer designed based on your body and your unique objectives), nutritional guidance and the support of a coach dedicated to helping you become the best you yet. The Elevate Weight Loss Challenge is for anybody looking to trim down and tone up. Whether you’re looking to lose those last few pounds, break through a training plateau or if you have a significant amount of weight to lose – this program can help you do it! Whether it’s your first time trying to drop some pounds, or if you’ve tried everything under the sun – this program (due to its customized elements) is guaranteed to change your body and change your life. The Challenge runs from January 12th through February 25th. We’ve added some elements to this program to make the Challenge both motivating and exciting! A grand-prize winner will be selected at the end of the six weeks and that winner is going to have their choice between a 5 day, 4 night Mexican Resort Stay plus $100 toward airfare or a $500 Elevate Fitness Reward Store Shopping Spree! The preferred time to buy footwear is later in the day. Our feet will continue to sweat throughout the day and this can continue until about 4 PM. So, it makes sense to wait until the evening to try on the running shoes to increase the chance of finding the most comfortable fit. It is important to get the feet measured every time a new pair of running shoes is needed. The shoe size is very likely to differ between different brands and types of shoes. Also, the stitching, shape of the upper and foot forms can have an impact on the all-around fit and comfort. Discover more about all types of sportswear by visiting li-ning shop. 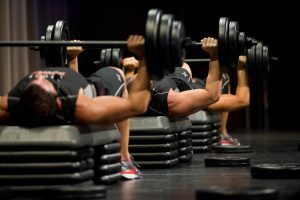 With so many ways to exercise and workout, it seems as though muscle building, or rather strength training exercises have really taken a back seat in people’s minds, either being some people feel it isn’t needed or it belongs to a certain group of gym goers- the meatheads in the weight rooms of gyms. Before your next gym session considering some of these benefits to strength training. 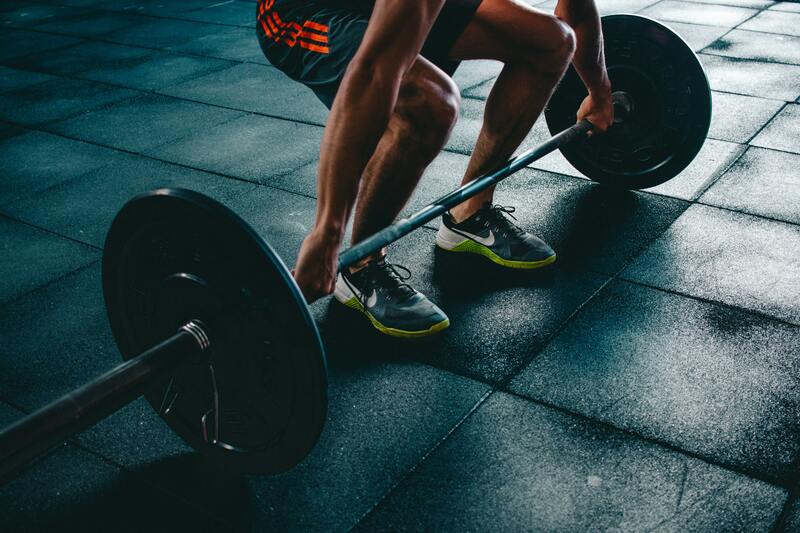 Better Cardiovascular Health: 2013 research study in the Journal of Applied Physiology demonstrates that applied strength training to young men showed improved numbers in HDL, or good cholesterol compared to those who have never touched a barbell. The study explains that proper strength training improved blood pressure and triglyceride levels similar to those who cardio train, BUT even better impact of HDL. Controls Blood Sugar Levels: Resistance training is something that should be incorporated for anyone with Type 2 diabetes. In a 2013 review published in the Journal BioMed research it showed that in addition to building muscle, strength training also helps the body use glucose, or blood sugar, getting it out of the blood and into the muscle, thus decreasing blood sugar levels. 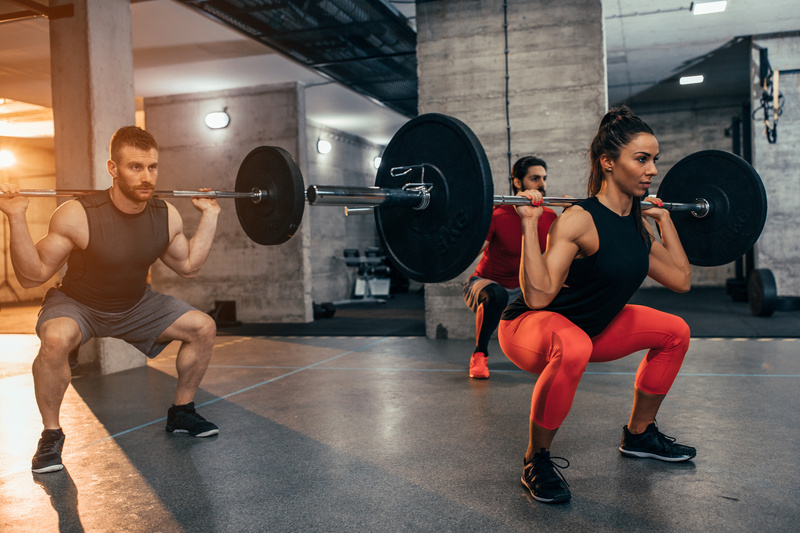 Lowered Risk of Injury: Strength training also helps with bone density, which can help counteract forms of arthritis and fibromyalgia (which is more of a musculoskeletal disorder) as well as increasing muscle mass which can help protect ligaments and soft tissue. If a muscle is too weak, it places added stress on connective tissue. Helping with Flexibility and Mobility: Results from a 2017 study in the Journal of IsoKinetics and Exercise Science shows that strength training improves flexibility in both men and women. Eccentric focused strength training showed twice as much hamstring flexibility than normal static stretching. If you take the muscles and joints through their full range of motion through strength training, you will increase that range over time. Outside of these reasons, I want to dive into a more anecdotal reason I want to change people’s lives through strength training. 10 years ago I busted up my back pretty bad. L4 L5 herniated. I can still remember the pain to this day. The sharp bolts down my leg, not being able to move right or ever stand up straight. I remember randomly falling because my body would give out, my mom having to carry me, tears rolling down my face. I remember bouncing from Physical Therapists to Chiropractors for almost 5 years; I remember doctors telling me I’d need shots every 6 months and that surgery was the only way to fix me up. I remember being told I’d never be able to exercise the same or do much of anything regarding my back and exercise. Cut to today 5 years into dedicated strength training with squats, deadlifts, hinges, pushing and pulling with a barbell I can say I never went through surgery, never once had any injections in my back, and I have been pain free lifting more than I ever thought possible with a 545 lb Squat and a 505 lb deadlift. Now, this may not be everyone’s comeback story. I’m not saying everyone should try and squat crazy weight. I’m not saying this is the only way to workout, or that it is superior to other forms of exercise. What I am saying is more people should give strength training and barbell training a real chance. My mission statement in life is to empower my clients and people through strength. Strength is never a weakness. 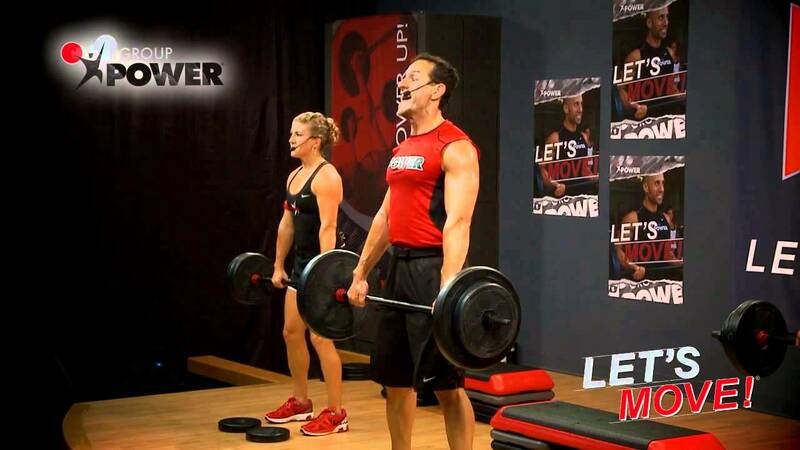 Michael Meola is a certified personal trainer at Elevate Fitness in Liverpool, NY. To book a complimentary* consultation session with him, fill out the form at the bottom of this page and request Michael when booking your session. You’ve probably heard of walk to run programs. You may even have seen them in the app store on your smartphone or heard about a co-worker or neighbor who used on to run their first race. When it comes to exercises that everyone can do, running immediately pops to mind for most people. Running is something most of us learn to do at a very young age, it requires almost no equipment (really, all you need are some sneakers) and you can do it almost everywhere. The appeal of running as a simple, go-to exercise is easy to understand. But running is also a highly beneficial activity. From weight loss to disease prevention to increasing your heart health, the benefits are well documented and a quick Google search will provide you with hundreds, if not thousands, of unique benefits that running can provide you. But let’s be honest – we did a lot of things effortlessly as kids that aren’t so effortless as adults. Not only that – our bodies were probably able to take a little more wear-and-tear when we were younger. That means that when we’re re-introducing running into our lives as adults, it’s important to learn the proper techniques and to use a training program that is both beneficial AND kind to our bodies. Walk to run training programs abound. You can download apps like “Couch to 5K” to your smartphone for a couple of bucks and follow a simple plan that takes you from someone who only runs when being chased, to someone who runs happily. The problem with these apps, or programs torn out of magazines, though, is that they lack customization. Maybe you ran in college but haven’t laced up in 20 years and you’re looking to get reacclimated. Maybe you’re ready to make a significant lifestyle change after a lifetime of being sedentary. Or maybe you’re just looking to lose a few pounds and prepare to run a 5K for a charity that’s near and dear to your heart. Elevate Fitness in Dewitt and Liverpool, NY recently introduced their Walk to Run programs under the direction of former Y Running Coach, and now Elevate Fitness Director of Running, Kevin Collins. Collins has coached thousands of Central New Yorkers from elite athletes to seniors looking to reverse the ills of aging. What Kevin brings to the table that apps and articles can’t, is a personalized approach to coaching using years of science-backed training and research and personal experience. Networking within and between Elevate Fitness Dewitt and Liverpool participants with similar running abilities and goals. Introduction to and maintenance of fundamental training concepts for lifetime optimal fitness and development. Detailed training plans and logs for each seasonal program duration. Free-floating access to over 14 running group sessions across CNY. Direct guidance from a former World-class runner who has trained over 1,000 of all levels beginner to advanced throughout CNY – Kevin Collins – A 2:15 marathoner, was among the top five U.S. ranked Marathoners and Half-marathoners of 2003, a three-time Olympic Trials qualifier, and the 1st American finisher in the 1996 Boston Marathon. If you’d like to learn more about how Collins can help get you “up and running” just fill out the short form below and he’ll reach out and tell you more about the Walk to Run and other Elevate Running programs! Manage your class schedule on our website and app! It happens to the best of us. You walk in, you sign up, you carry the key tag, but you never really find your gym groove. Sometimes the hardest part of getting started is just… getting started. 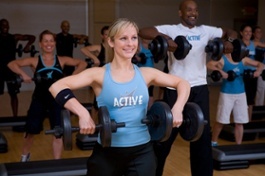 Have you seen Elevate Fitness? If you’re not a regular #gymshark it can be overwhelming. So what’s the best way to get started? I have an idea. Maybe after two weeks you find that 5:30 pm is just not working for you, your dog, your boss, your hair, whatever. We get it. No hard feelings. Pick a new time slot and try again. What about 5:30 am? Hey, at least no one is judging your hair. Seriously. When you pinky promise to a time slot at Elevate Fitness, you aren’t obligated to a sentence of “dreadmills” and gym bro’s. For every weekday time slot that fits perfectly into your life, there’s a ton of variety for what you can do when you report for duty. The more of those options you try, the less of a chore it becomes, the more fun you have and the more you want to try again. … all with certified instructors dedicated to your success. Maybe you like a smaller group vibe– check out team in training in the cage. You get your own personal trainer with a fresh WOD, at a fraction of the cost. Need a little less impact? Hop in the pool. If you’re feeling a little intimidated by all that equipment on the floor, connect with a personal trainer. If you don’t, get out there: lift heavy and get after that cardio on one of a dozen different machines. Like hanging out between reps? Get hooked up with TRX. Stretch it all out before you hit the showers and you can be on the road by 7:30 AM, even if you have to do your hair. Not a bad way to kick off another amazing day. Yes, those first two weeks of building a new habit might be a challenge, but stick with it. Get out of your comfort zone and into your results zone. We’re looking forward to seeing you soon. If you ask ten different people who’ve lost weight what the secret to their weight loss success is, you’ll get ten different answers. It’s not just because weight loss is an intensely personal experience, but because everyone’s perception of what actually did the trick can vary significantly from person to person. 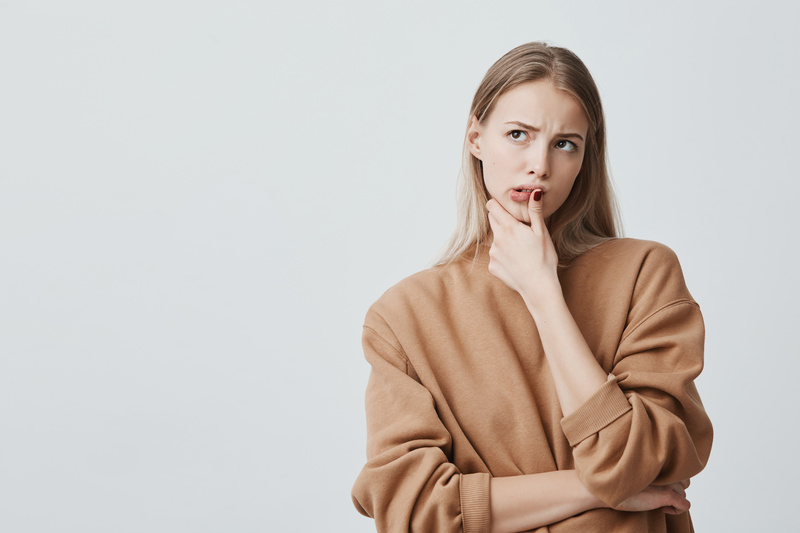 When you add in the unending parade of misleading articles and resources online, countless self-appointed experts and an increasing demand on your time and energy and it’s no wonder why so many people struggle to create their own success stories with weight loss. The goal of this piece is simple: to provide you with a basic outline for success in weight loss that will work for 95% of the population. The other 5% will be affected by medical or socio-economic conditions that require a highly personalized approach – but this post isn’t for them – it’s for you. Here we go: 3 simple steps that when combined create a strategy for guaranteed weight loss success. ONE. Consult with your doctor. Every exercise program in the world starts with the same words of advice: “before starting this, or any, exercise program, consult with your doctor…” and there’s a reason you hear this advice over and over again – your doctor will a) ensure you’re not in that 5% we talked about earlier and b) create an amazing source of accountability to insure your success. The truth is, you can’t count on your friends and family to hold you accountable, because often times, it’s falling into the same habits and lifestyles as those folks that put you in your current situation. And because they often suffer from the same health and fitness struggles as you – they may not be invested in your success as it may underscore their own perceived shortcomings or failures in weightloss and wellness. Because your doctor is invested in your success, talking about a weight loss strategy with them will ensure you have someone holding you accountable who’s objective and rooting for you. TWO. Count every calorie you consume and spend and track them. This is just basic science, folks. In order to lose weight, you need to burn more calories than you consume. You cannot lose weight without following this principle (and that’s why it’s so important to track these things). So the rule is simple: every day track how many calories you take in and how many you spend. Make sure you end up with a negative number at the end of every single day. If you track-as-you-go there should be no big surprises when you step on the scale. Don’t assume you can lose weight without good tracking habits – simple math on paper cannot lie, but you’d be surprised the lies our brain is willing to tell us when we want that special treat at the end of the day. Go to bed every single day with a caloric deficit. And if you want to get really specific, plan your deficit based on your weight loss goals using the 3500 cal = 1 pound math. And when I say track them, I mean write the numbers on a calendar. Write them in a journal. Anywhere. Just make sure you’re keeping a record of your calories in and calories out. THREE. Decide how you’ll define your success and WRITE IT DOWN. Is it pounds lost? The fit of your favorite jeans? 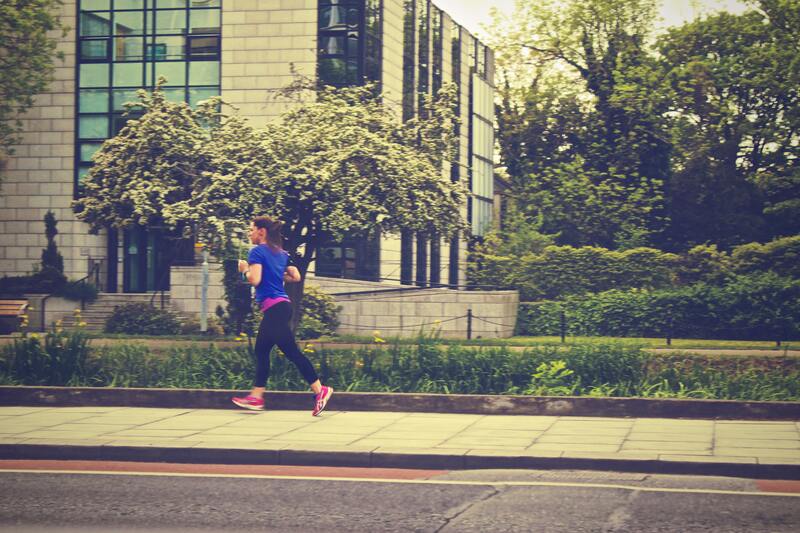 The number of uninterrupted minutes you can spend running? Whatever it is, define it. And make it a part of your tracking habits. Tracking weight? Weigh yourself regularly and write it down. Tracking the fit of your clothes? Take a pic in your favorite jeans twice a week. Minutes spent running? Make a log. You MUST have a clearly defined goal and measurement chosen in order to know when/if you’ve created your success story. 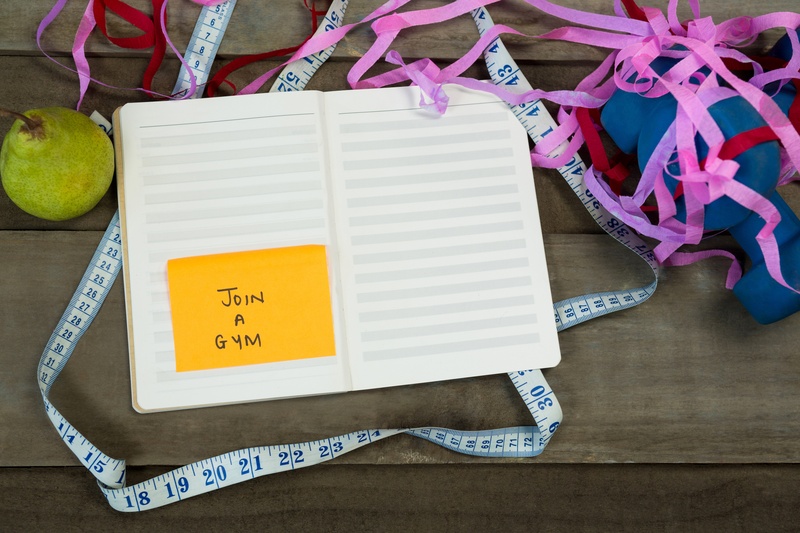 It’s not enough to say, “I want to lose weight.” You have to say, “I want to lose 10 pounds by the time we open the pool this year.” Or “I want to fit into my favorite jeans before my high-school reunion.” And write it down. Write it down several times. Put it with your tracking logs/journals/diary/whatever you choose. Write it on a post-it note and stick it on your fridge or in the cupboard with those crackers you always run to at the end of a long day. Stick one on your mirror in the bathroom or on your closet door. Remind yourself regularly of your goal and WHY that goal is important to you. Ultimately, you’re accountable to yourself. If you really want to achieve something, you need to constantly keep the goal and the reasons in front of you to maintain your focus and motivation. There are plenty of other rules. Plenty of programs and guides and recommendations. But I personally guarantee you that if you do nothing more than these three things you will absolutely lose weight. So before you invest in the big programs or drop bucks on the next big thing, just do these three things consistently for three weeks. If you see results, keep going. If you don’t – go back and read this again – you’re doing something wrong. You can even email me at jason@elevatesyracuse.com and we’ll figure out what that is. So get out there and use these three simple rules to write your own success story. I believe in you. Do you?